There is a HUGE low fat industry out there and low fat yogurt is just one of the offenders in the group. If you think low fat yogurt is healthy, you’re not alone, many people do. So what I’ve got to share today might shock you. 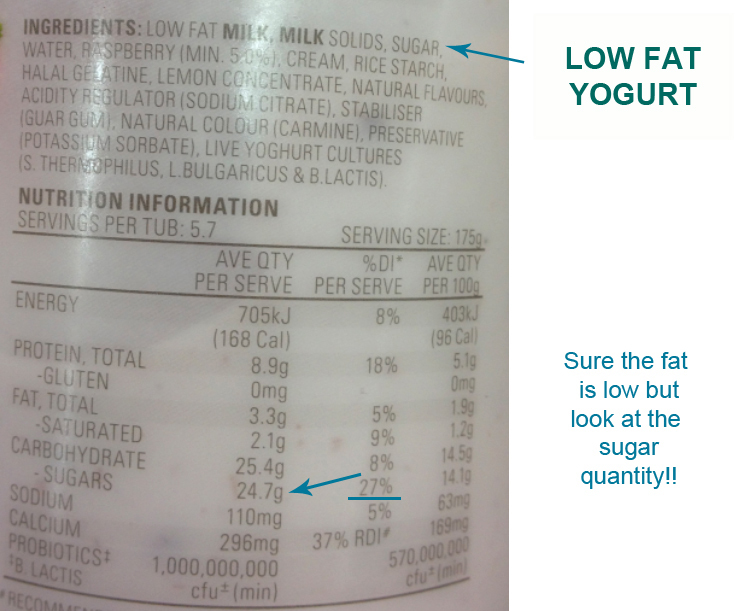 Still, you need to know that this is the 100% truth about low fat yogurt and the info applies to many other low fat products too. Aren’t Low Fat Products Healthy? 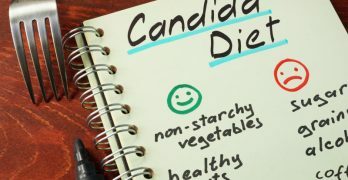 We’re told to eat low fat products, we’re told they are healthier for us, but this is FAR from the truth and the messages you’ve been hearing could be a key factor preventing you from losing weight and getting healthier. So the answer is NO, low fat products are not healthy. You see, when they take fat out of a product, what are they going to put into it to make it taste good? 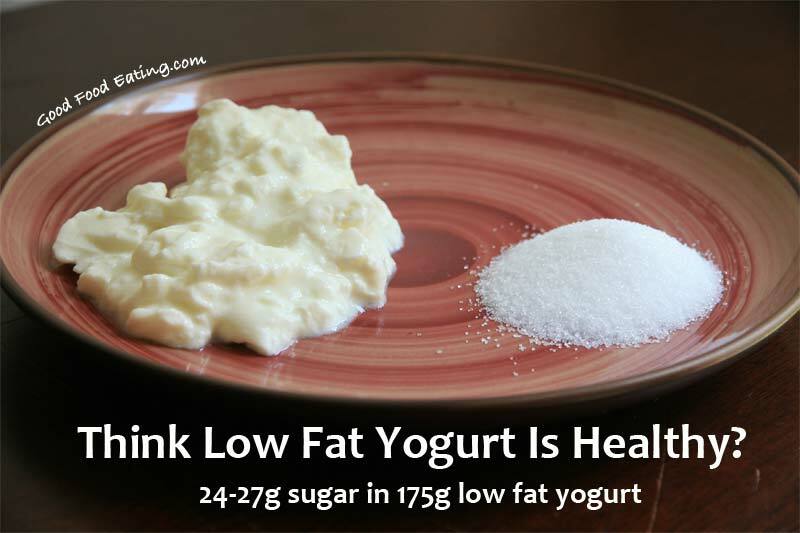 In a 175g serve of low fat yogurt, there is 24-27g of sugar! This picture demonstrates it perfectly. There is almost as much sugar in that serve as the yogurt itself. I bet that most people who eat yogurt do not eat a serve as small as 175g, even though that is the recommended serve amount. They could eat 2 times that amount very easily. The truth is that the low fat industry is contributing to weight gain, type 2 diabetes and a range of other health problems. So if you’re trying to lose weight or eating low fat to try to help your diabetes, heart disease, obesity or whatever else, then I believe you’ve been misled. Here’s a couple of low fat yogurt labels. Notice that the total carbohydrate is 25.4g and the sugar is 24.7g, that means that the product is virtually ALL sugar. 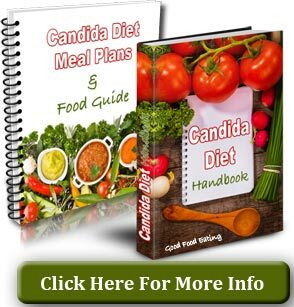 This is equivalent to 27% of your recommended carbohydrate intake for just one day, 27%. Let’s double that and make it 54% because you’ll probably eat 2 serves in one sitting. See how easy it is to go overboard on sugar? Sugar is the number one thing that drives up insulin and insulin is our fat storage hormone! And don’t get fooled by labels that say organic. Yes they might contain organic ingredients but that doesn’t mean they are much better on the sugars. This one says 16g but notice their per serving is lower too, just 125g. Again you will see that the total carbohydrate is 17.5g and the sugars are 16g…almost all sugar. 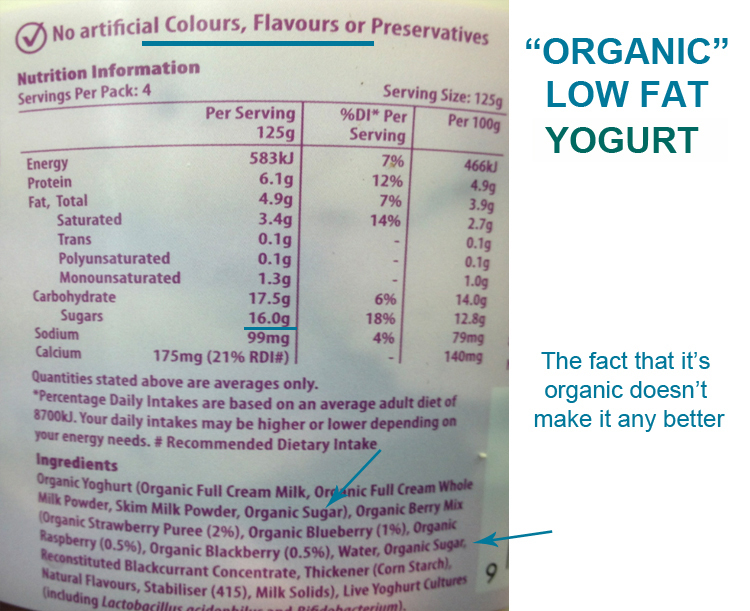 So I hope that convinces you that low fat yogurt is not quite so healthy as you may have been led to believe. P.S. 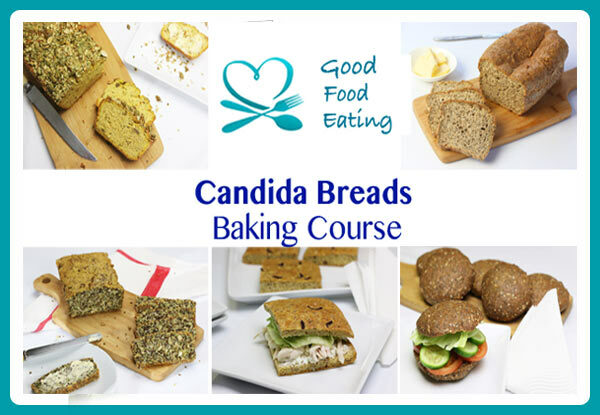 Want more real food nutrition tips? Sign up for my weekly newsletter.